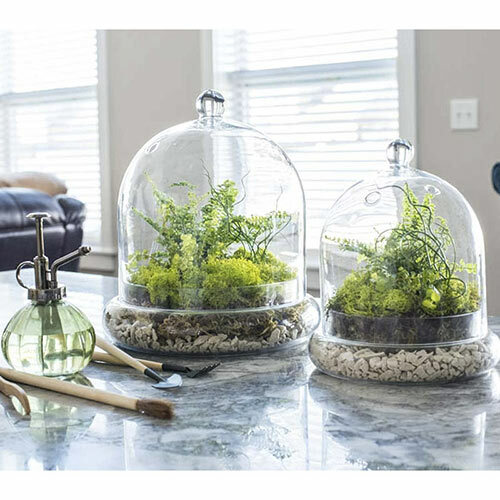 Because planting a terrarium should be fun. A terrarium is a great way to give indoor plants the humidity they need. And when you're trying to get the terrarium display to look just the way you pictured, you'll need the right tools for the job. 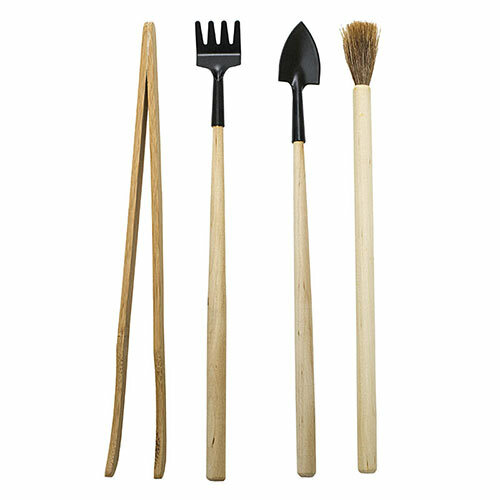 This set includes a natural bristle brush, a custom rake, shovel and bamboo tongs. These small tools with long handles let you actually enjoy planting your terrarium, no more frustration from trying to move around small pieces with your bare hands. It'll match perfectly with our Complete Cloche Terrarium Kit, and if you're sending a terrarium as a gift, the tool kit makes a thoughtful add on. W4"xH14"xD1"